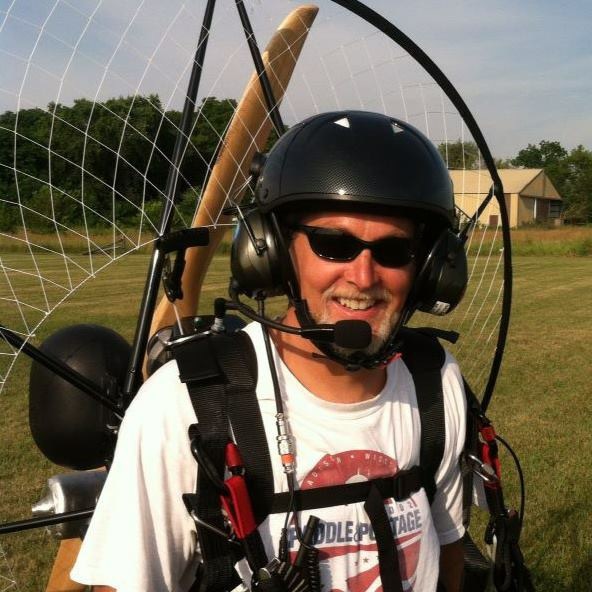 Mariyan Ivanov is a USHPA free flying instructor, tandem pilot and tow operator. 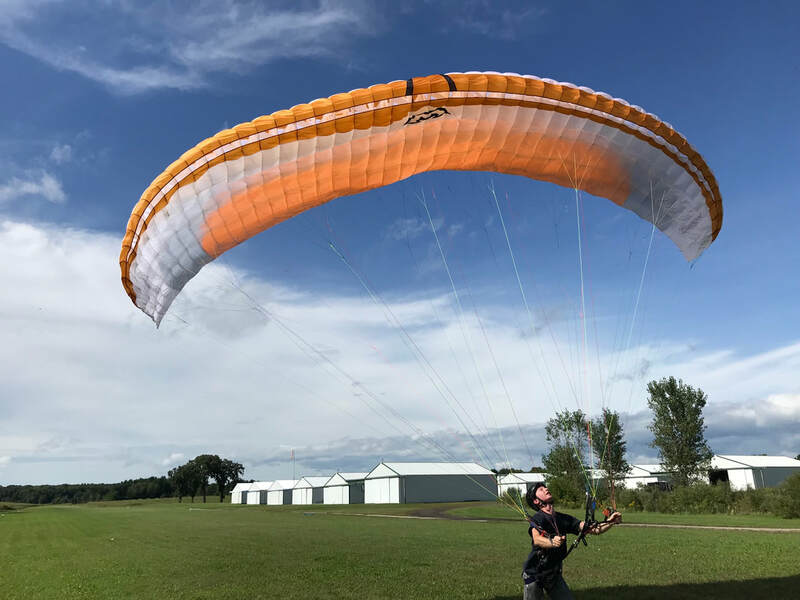 Mariyan is also an ASC certified paramotor instructor and holds a tandem paramotor exemption permitting him to paraglide with students either with and without a motor. He is an experienced world traveler and adventurer. Originally from Bulgaria and now an American citizen Mariyan started free flying in 2006 in Europe where he earned his FAI P1 - p5 ratings. He is a competitive paraglider pilot and has competed in ​Greece, Turkey, Albania, Bulgaria, Macedonia, United Arab Emirates, Croatia...to name a few places. Prior to joining Madcity Paragliding, Mariyan worked at Morningside Flight Park in New Hampshire, one of the largest PG schools in the US. Seasonally he travels to Micronesia where he flies thrill seeking tourists on tandem paramotor flights around the tropical island of Saipan. 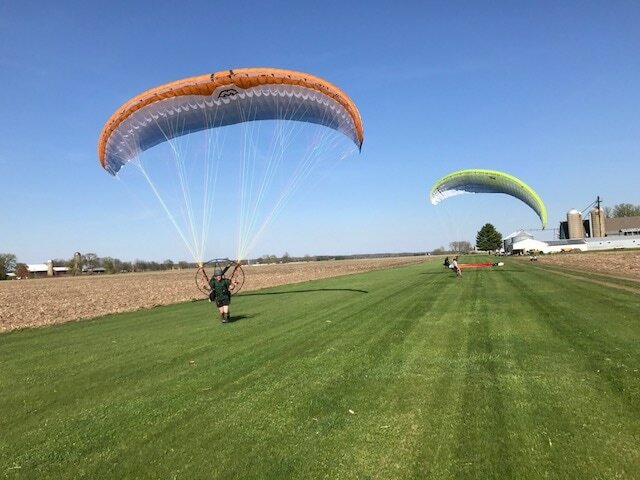 Madcity Paragliding offers wheel launch paramotor training for students looking for a less physical way to fly. Adding a trike or cart eliminates the need to run while carrying a 40+ pound motorized pack on your back. When done correctly, the pilot simply sits in the aircraft, squeezes the throttle and rolls effortlessly into the sky. Landings are just as effortless. 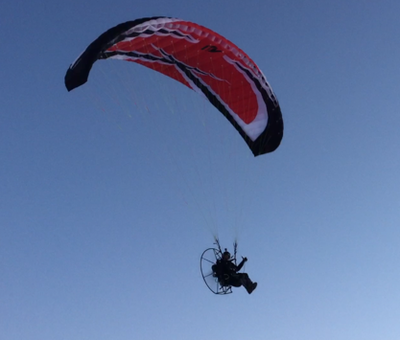 Foot launch paramotor flying though more physical is also more free. This is powered flying in it's most simple form; a wing, a motor and you. Running into the sky like a bird. No cage around you obstructing your view. Feet dangling beneath, dragging through the fields or clouds. No need of a smooth runway, no mountain, no trailer to move your gear around. Your airplane easily fits in a corner of the garage. Paragliding or Free Flying is flying in its simplest form, a wing and you! It's also the quietest, least expensive and most portable. Everything fits into a large backpack. 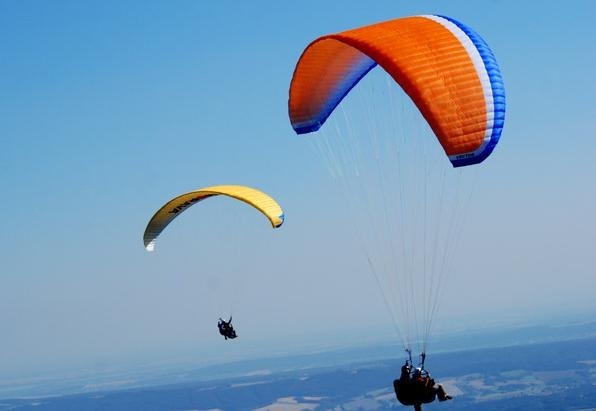 ​Whether you choose the simplicity of free flying, the freedom of Foot Launch or the ease of Wheel Launch, Madcity Paragliding will soon have you flying safely with a smile. 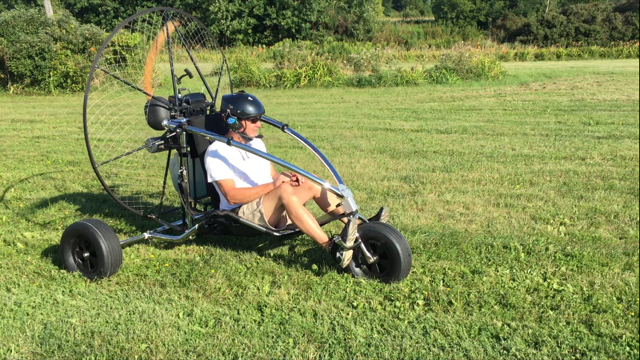 Madcity Paragliding is MOBILE! With our mobile training center we are easily able to adapt to the varying weather conditions in the southern Wisconsin area. 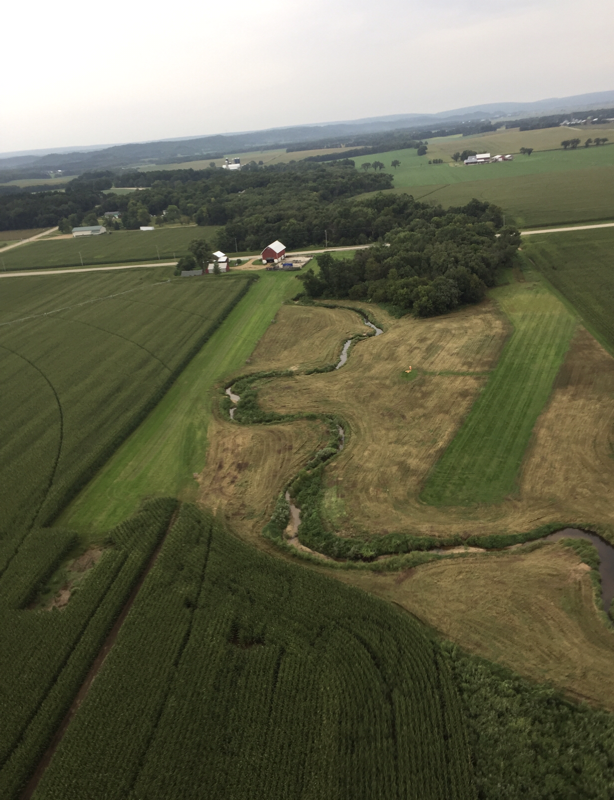 We use a variety of parks and small airports all over the southern Wisconsin area from Madison to as far as away Oconomowoc and Janesville to the Wisconsin Dells depending on the weather, wind direction, what skill we are working on that day and where the students are traveling from. 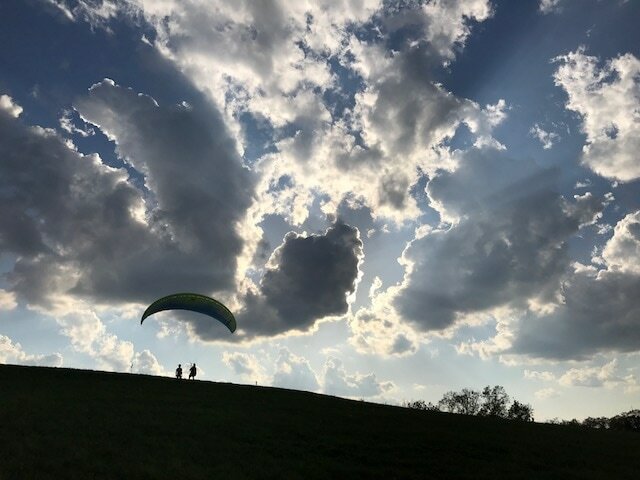 Madcity Paragliding is extremely fortunate to have access to a several beautiful private airports around the Madison area. We have hanger space just off the runway at Syvrud Airport that we use as our main base. This is also where our simulator is located as well as our ground school classroom. In addition, we use a couple local sledding hills for our first taste of flight. 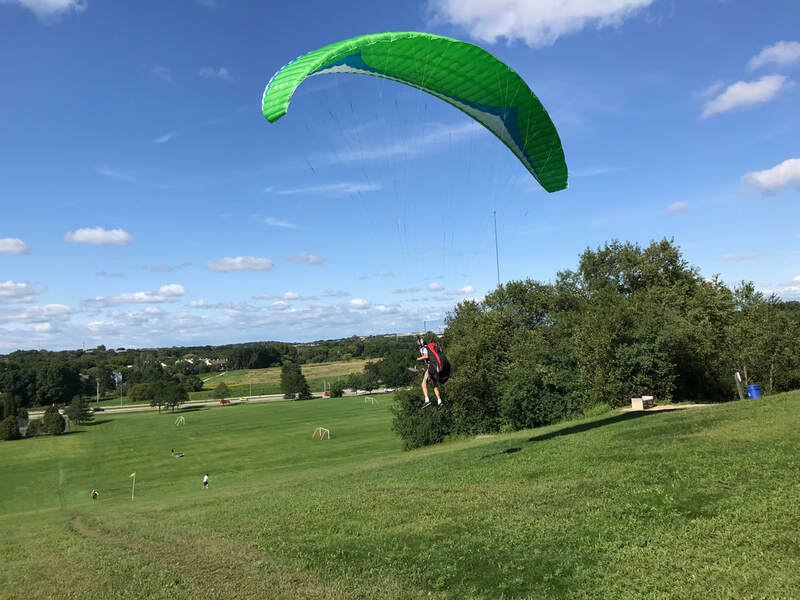 The students start by "kiting" the wing at the bottom of the hill then as they gain confidence they slowly work their way up the hill and try their hand at free-flying. The flights are short and low but provide great training for takeoffs and landings without the motor weighing them down. Madcity Paragliding pulls our more advanced free flying pilots airborne at many locations all over southern Wisconsin with our state of the art payout winch. Equipt with 6,000' of tow line, the winch allows us to get pilots up into the abundant thermals where they release and fly quietly around riding the updrafts.